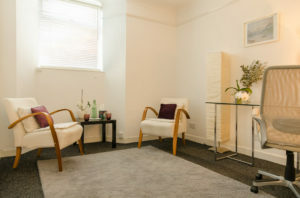 Rooms can be hired by the hour, in blocks, by the half and full day for individual therapy, couples work, group work, training, workshops and other events. 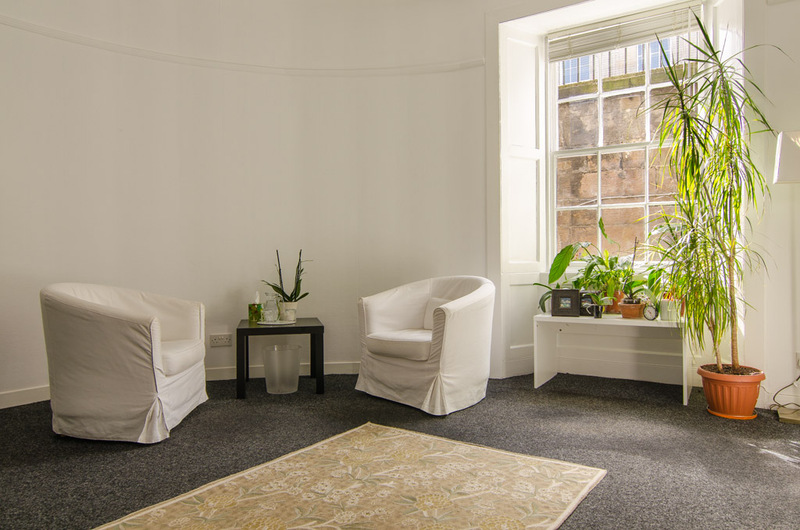 EH1 Therapies is a comfortable and peaceful setting for therapeutic work. 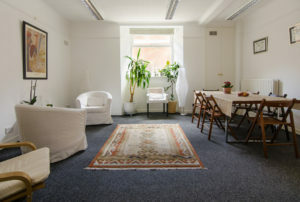 The rooms are comfortably furnished, bright and airy. 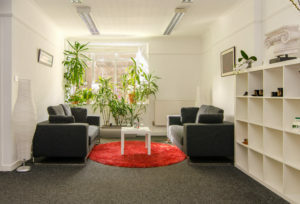 The atmosphere is calm, enhanced by lush greenery and flowering plants. The two smaller rooms, North and South are used for individual counselling, couples work and supervision. The two larger rooms, Midway and the Studio are also used for counselling but can be opened up to provide one large space suitable for training, groups, seminars and other events. There is access to WiFi in all rooms. 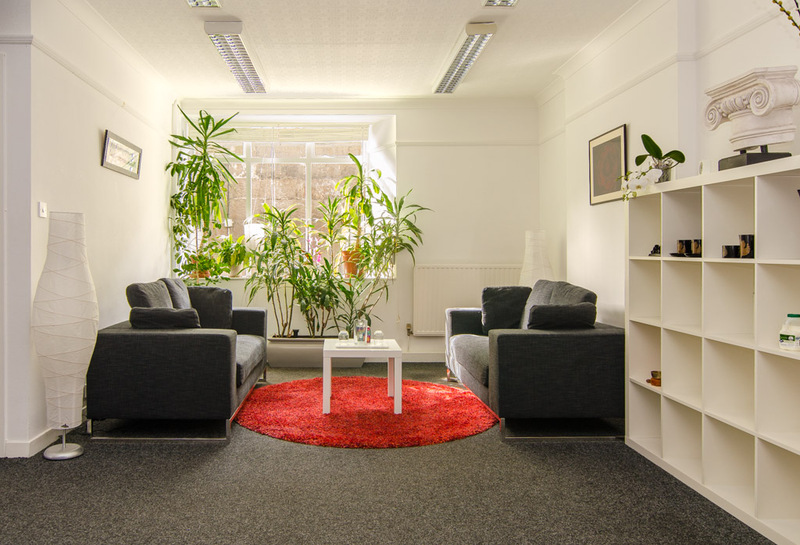 The larger rooms can be equipped with seating, flip chart and projector for training and other occasions. Tel: 0131 629 0837 or 0777 914 9583 for details.